Our largest and most luxurious stick. Perfect for all outdoor activities. 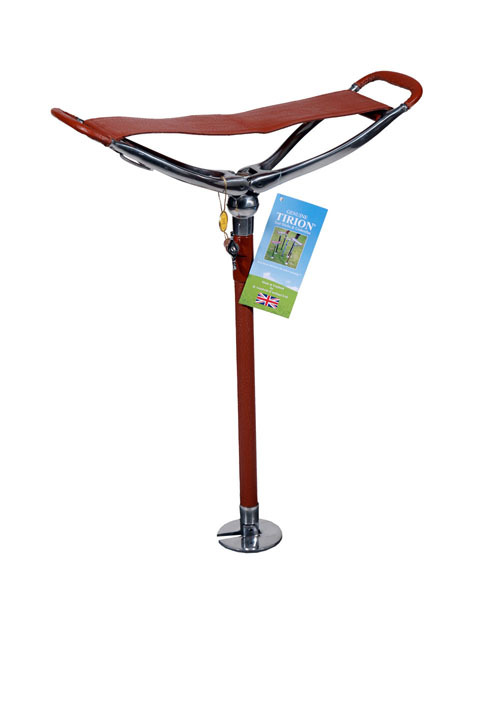 Fixed height stick has a height when seated of 26.5 inches (67cm). 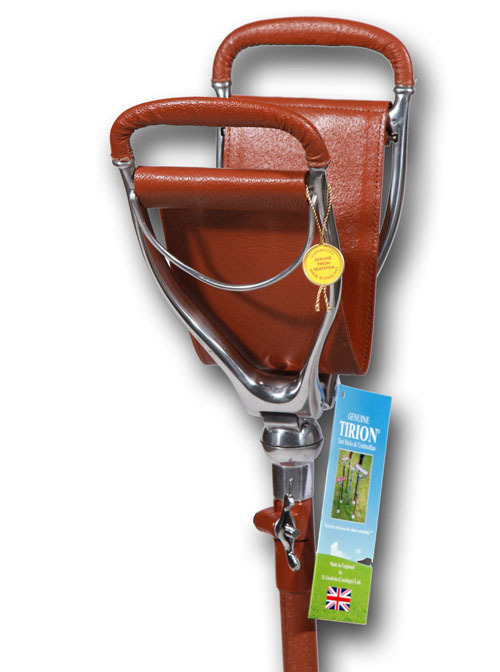 Adjustable height stick has a minimum height when seated of 22.5 inches (57cm) up to a maximum of 35.5 inches (90cm). 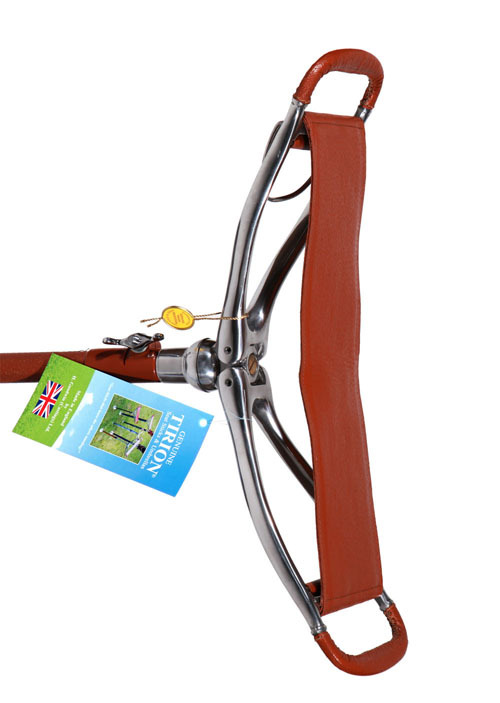 The Tirion® range of seat sticks & shooting sticks are the best available. Skilled craftsmen assemble the top quality materials and stitch the goatskin leather at our factory in Walsall, England. Walsall is a town with a world famous manufacturing history and heritage.